By definition, a hard disk drive (HDD) is a fixed data storage device. You will find them in most desktop PCs, laptops and external storage devices. 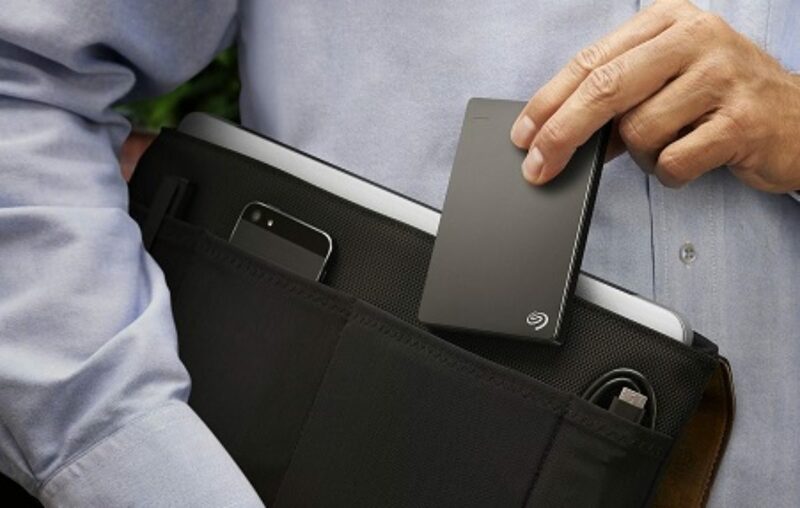 External drives offer a great way to expand your storage for lower-end computers and other portable devices. With so many drives out in the market, how do you know which ones to buy, or what is the best most reliable Hard drive to buy? In this guide, are 7 things to consider when buying a hard drive (external) so that you get the most for your money. Obviously, the most important specification to consider when buying a hard drive is storage space. It’s not good buying a high-speed device with encryption and remote access if it’s not big enough to store the information you need or with more space, you’ll never even come close to filling. So the storage capacity of an external hard drive you want to purchase must depend on what you want to do with it. Transfer speed is very important and notably something to consider, you don’t want to have to wait for long transferring files or waiting for them to complete. Some drives are faster than others and if you want a drive with a high speed, make sure to check reviews of your options. Solid State Drives (SSD) can process data faster than Hard Drives(HDD). Though External SSDs tend to be more expensive than HDD and often have less storage capacity. Where you use your storage device could also determine which solution would work out best for you; are you a laptop, remote worker? Then it might be preferable to get a USB flash drive or a portable hard disk drive solution, many of which do not need an external power source. Furthermore, if you are a Mac aficionado, purchasing a Firewire model makes more sense as it will provide you with more expandability. Another thing to consider when buying a hard drive is the model of connectivity. Currently, the available connections on the market are – eSATA, USB and Firewire. USB 3.0 is by far the most prevalent version offering great transfer speeds as well as quasi-universal compatibility. eSATA is the newest kid on the block and offers improved performance and consumes fewer resources than USB. Firewire is often relegated to a niche and high-end platforms like content creation but offers the best performance of the three as well as superb compatibility with the Mac environment. How long has the model/type been in production? The latest high capacity leading-edge technology HDD is often not the best choice. Early production runs tend to have lower reliability and in extreme cases have design flaws. If you’re security conscious and the data you store on your external drive is sensitive in any way, encrypting the data is a good idea. Many drives out in the market are compatible with software encryption solutions. For those who take their data security more seriously, you can find a drive with hardware encryption. The seventh factor to consider when buying a hard drive is the warranty offered by the distributor. One way to get an idea for how long the company expects a drive to last is to look at the warranty they offer for it. Manufacturers like Seagate will offer you up to a five-year warranty on their storage solutions which comes handy should one of them fail. But keep in mind that no manufacturer will provide data recovery facilities in case of hard disk failure. The top hard drive brands are Western Digital, Seagate, and Hitachi. Previous article What is the difference between 8K and 4K TV?